Guaranteed delivery by 23 April 2019:	place your order within the next 0 hours and 51 minutes and select UPS-Express on checkout. * The specified delivery times and prices are valid for all places of delivery in United Kingdom for orders and successful receipt of payment and/or purchase on account or cash on delivery no later than 18 April 2019. 18:00. To ensure fast and successful payment, you can use the following payment methods Credit Card, Paypal . CL 41449/S is a fashion statement, for which sunshine is not necessarily required, because these sunglasses enhance your natural radiance turning night into day. The new Céline underlines that you are a trendsetter. For the current season the renowned label sets the standards with its collection for 2017. The CL 41449/S is available in the Edel-Optics online shop in other styles from Céline collections 2016 and 2017. Expressive lines add character to the classical approach, making the glasses a must-have for women. Eyewear is in. Full rim is extremely popular, because you feel that you get more eyeglass for your money. It is not just about their resilience, but also about the visibility of material and design, which are of the highest quality. White eyeglasses fit any occasion. Whether in summer or in winter, with black or pink - white emphasizes your colours for 2017. 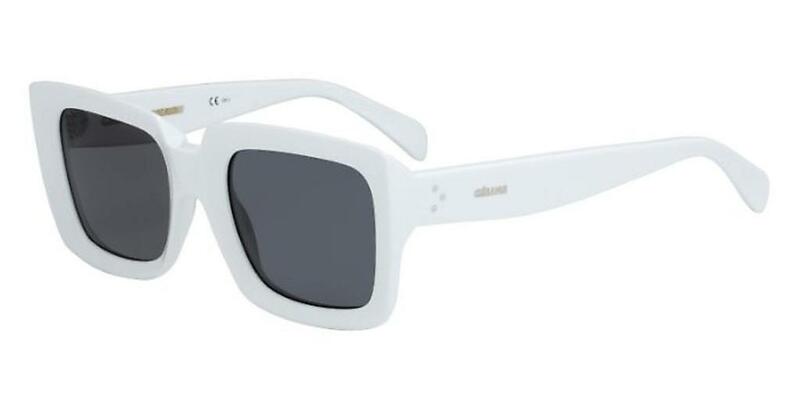 Whether with tanned skin, on the beach or with a bobble hat in winter, white glasses always look great. Grey lenses are a classic in sunglasses. Their high degree of neutrality with regard to the field of view, makes them particularly suitable for everyday use. Functionally, you are, of course, on the safe side, too. With 100% UV eye protection, the sun can immediately start shining. If this pair is your favourite, you can order them without hesitation. 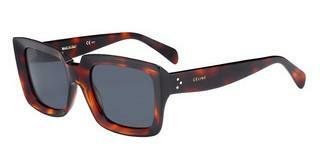 We have them in stock and can send them off immediately at a super affordable Edel-Optics price. If you buy at Edel-Optics you get the best price, because “in the sale” is our standard.